American filmmaker John Cassavetes (1929-1989) made only nine independent films during a quarter century, but those films affected the cinema culture of the 1960s to the 1980s in unprecedented ways. With a close nucleus of actors and crew members on his team, including his wife Gena Rowlands, Peter Falk, and Ben Gazzara, Cassavetes created films that explored the gritty side of human relationships. He staunchly advocated the right of actors and filmmakers to full artistic freedom over their work. Attracting both fervent admirers and harsh critics, Cassavetes's films have garnered prestigious awards in the US and Europe and continue to evoke strong reactions. Starting in New York with his first film Shadows (1959), Cassavetes moved on to the West Coast with Faces (1968), Husbands (1970), Minnie and Moskowitz (1971), A Woman Under the Influence (1974), The Killing of a Chinese Bookie (1976), Opening Night (1977), Gloria (1980), and Love Streams (1984). He also directed several studio films, which often rankled his independent streak that rebelled against a loss of artistic freedom. 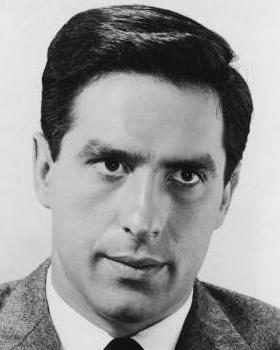 Cassavetes's work in the theater and his performances in numerous television programs and films, including The Dirty Dozen (1967) and Rosemary's Baby (1968), made him, as a director, fiercely protective of his actors' right to self-expression. Cassavetes's contributions to film as actor, writer, director, producer, and cinematographer at a time of radical changes in cinema history continue to inspire independent filmmakers to challenge creative restrictions and celebrate actors' artistic contributions. John Cassavetes: Interviews captures this "maverick" streak of an intensely personal filmmaker who was passionate about his art.